Just like with trashy thrillers and Trader Joe’s chicken taragon wraps, I have a love-hate relationship with lace weight yarn (also with hearthstone, criminal minds marathons, and this guy in my class named cj). I’m always really excited when I get it, but then I get started and realize that it will take me freaking forever to knit anything appreciable out of it. 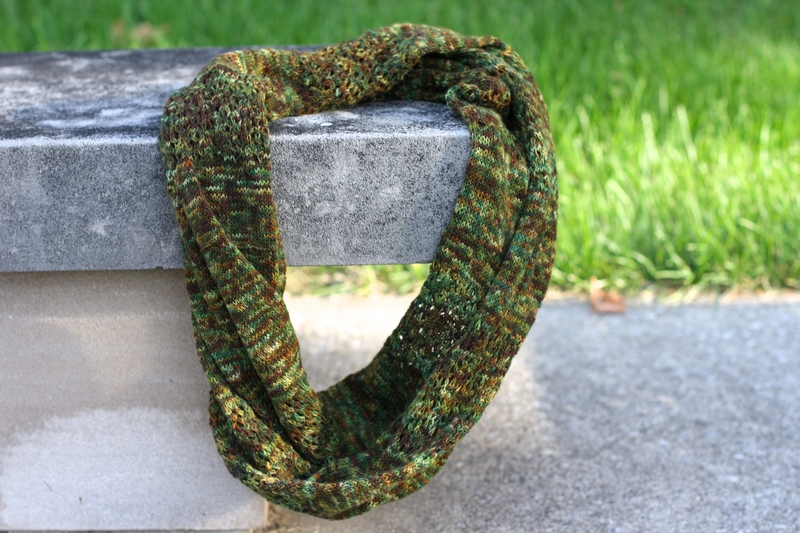 So, what was supposed to be a summer cowl is now an end-of-summer cowl. A 2-month long endeavor that I almost rage-knit on multiple occasions, and the time commitment equivalent of 6 seasons of 30 Rock (also like 3 of the underworld movies). Sadly (though not surprisingly), I did not make this pattern myself. 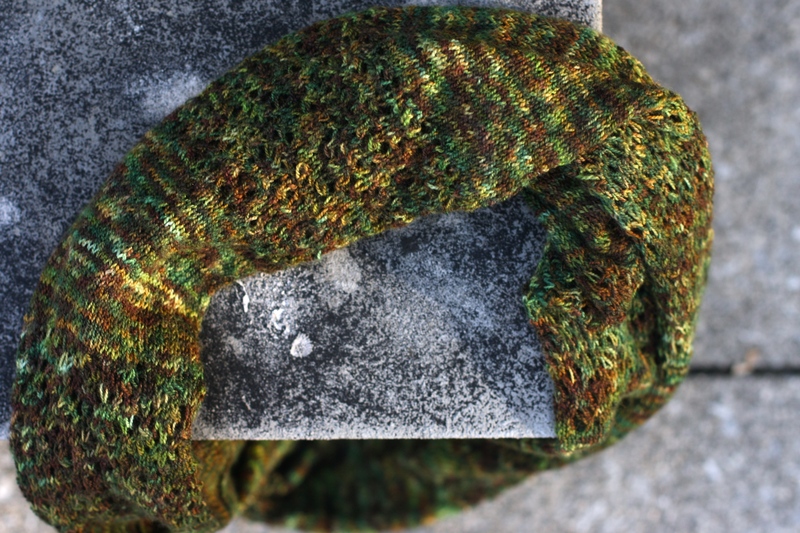 Rather, I capitalized on the creativity and generosity of others and adapted it from this free lace shawl pattern on Ravelry, repeating the main motif between rows of stockinette. So check it out if you’re looking for a good lace project! 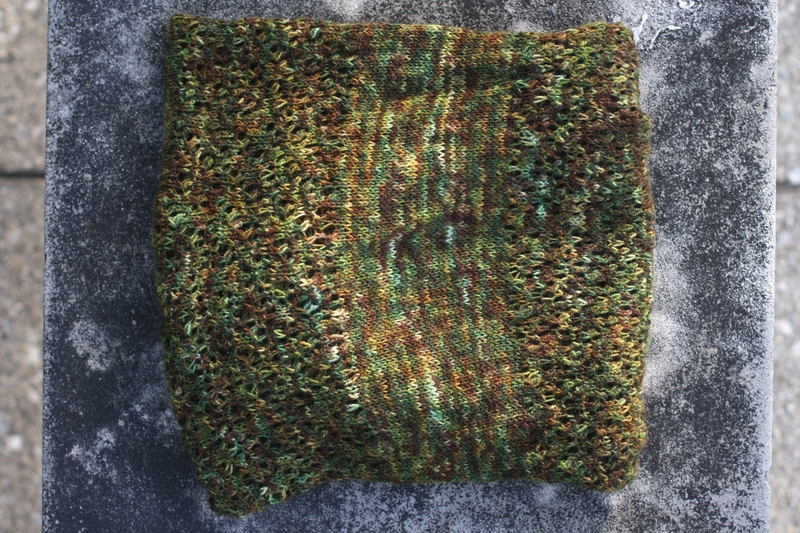 This is a picture of a stone bench wearing my cowl (quite fabulously in my opinion), because I was having trouble finding a human to model it for me. I know what you’re thinking: Really? A bench? Anyone can wear a scarf better than a bench! I thought the same thing, too. And then I ran into Caroline. Despite being among the top 5 best dressed (with celiac’s) in our class, she struggled a bit in front of the camera. I took a few pictures (mostly for show. my camera was off for most of it), but could tell almost immediately that it wasn’t going to work out. She lacked that natural ease that comes so effortlessly to benches. In the end, I didn’t have the heart to tell her that she was passed over for a seating fixture. But to be fair, that is one good looking seating fixture. 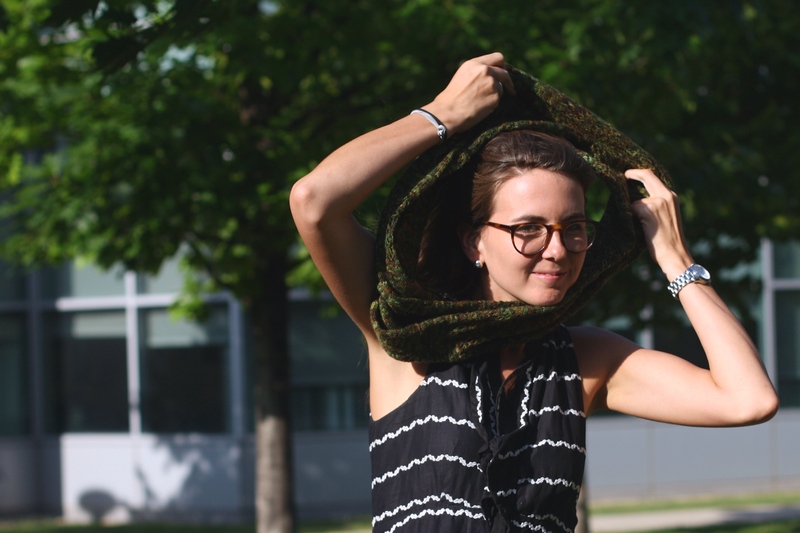 Like I mentioned earlier, this cowl took me 2 months to complete, which is a long time given that my summer was relatively relaxed and free (i bought a human head). I would have actually finished much sooner, had I not broken my wrist. My right triquetrum, to be specific (for those curious and/or anatomically inclined). Thus, I was put in a short cast for 3 weeks, which put a real damper on my knitting. Not to say I didn’t try, which I did, holding the yarn between my knees (kneeting? 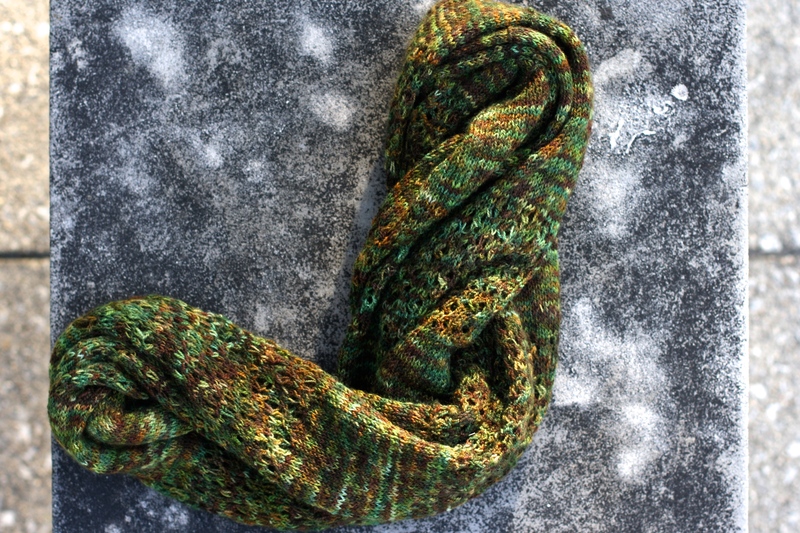 ), but ultimately I just had to accept that I’d be taking a break from knitting. 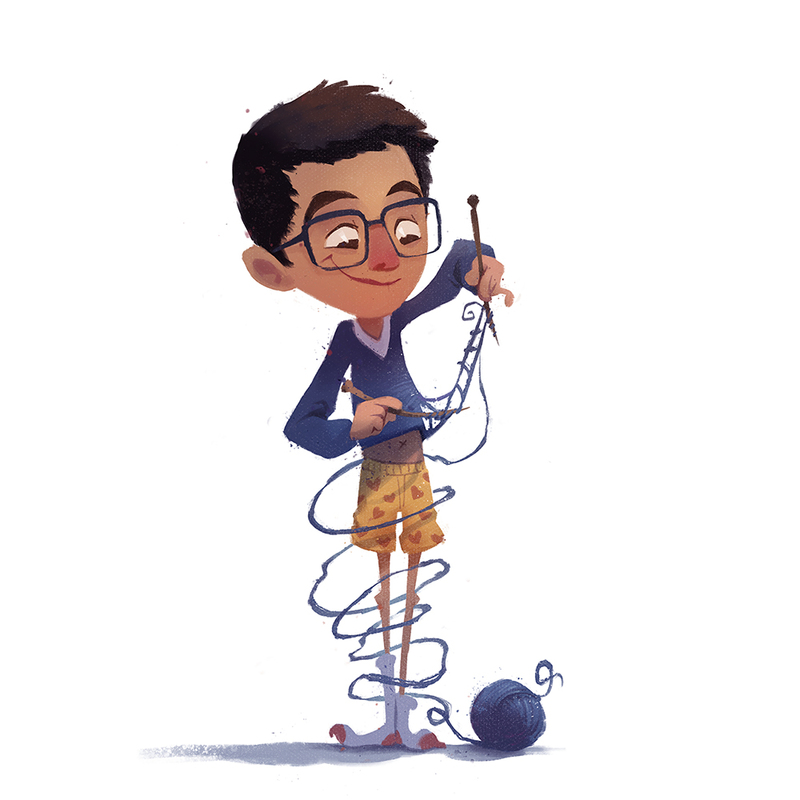 I was forced into a yarn sewbattical, a knittermission, a suspinsion (okay i’ll stop). It was shawlful (sorry last one). So for 3 weeks, I had a lot of free time, and I ended up spending most of that time lying on my couch, shoving carrots and hummus into my face while letting Netflix count down all the way to 0 before autoplaying (#rockbottom). I was a little surprised at how bad I felt and how shamelessly I wallowed in my invalidity, so between games of Hearthstone (the one thing my cast couldn’t take away from me), I thought about why that was. And I think it’s because I broke my wrist falling off my bike. Anyone who knows me or has seen me attempt to ride anything with 2 wheels knows that I am a terrible biker, which is ironic, because my dad is such a phenomenal one (his email address is bikes2work not even kidding). I fall, constantly. In the short 5 months that I’ve had my bike, I’ve fallen trying to avoid potholes, street lamps, other bikers, and cars (both parked and otherwise), most often unsuccessfully so. I’ve fallen on multiple occasions all by myself, tripping over the pedals before I’ve even started biking. 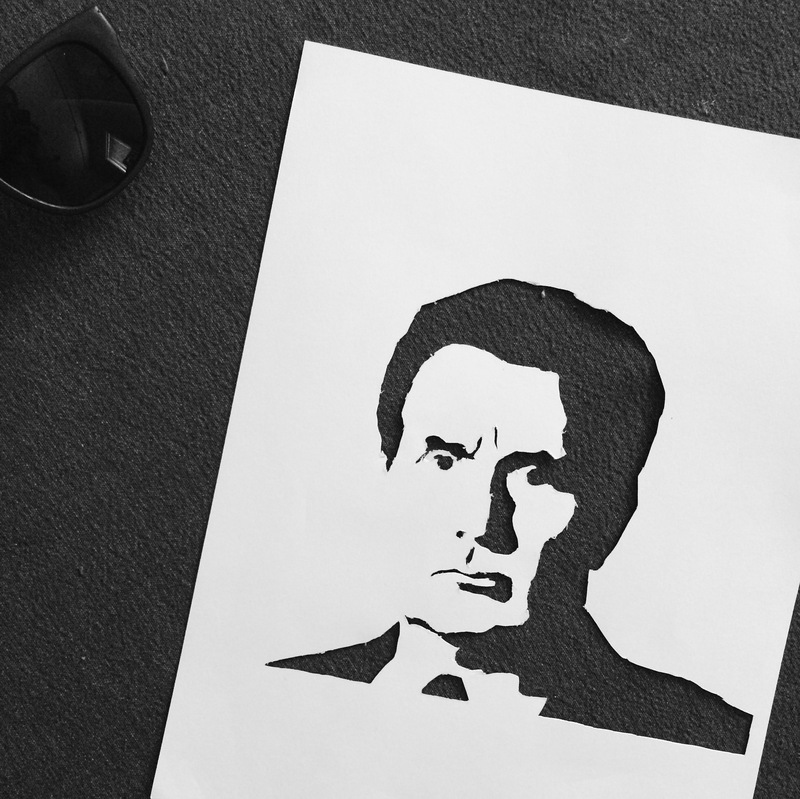 I’m so incredibly inept that I’ve managed to make a joke out of it, much like my devotion to The West Wing (my summer project was making a stencil of martin sheen’s face) or my limbiness (2015 pritzker limbo champion whaaaat). But in truth, I’m kind of devastated that I’m a bad biker, because I think part of me always assumed that I was going to be an amazing one. Just like my dad. In recent years, I’ve noticed my interests gradually converge with my father’s. I’ve developed an ear for This American Life and a disproportionate joy in finding things on the street (order by level of excitement: earbuds, flashlights, doorknobs). I’ve begun small home improvement projects (my next summer project is to decorate the living room with a stencil of martin sheen’s face) and, in the rare instances I succeed in bicycling accident-free, my go-to destination is always a cafe that I can sit and read at for hours (actually it’s bang bang pie shop. and then g&i donuts. and then a cafe). People used to tell me that I’d end up like my father, and that always brought me a sense of relief and security. It might be an Asian thing, or an ISTJ thing, or something else, but whatever it is, it started slipping away as I scraped my shins, bruised my palms, and came to the injurious conclusion that not only am I an abysmal biker, but I will never be my father. I think I’m old enough where I can actually start being things–a doctor, a writer, a father and husband–and it is terrifying. It implies an ownership of an undetermined future, learning from mistakes and decisions, but only after I’ve made them. I’m the first in my family to move out of California and the only one to pursue a career in the medical field, and I’m just starting to realize that my life will look nothing like my parents’. It’s weird, acting outside the comfort of precedence. Liberating, I’ll admit, but also unnerving and wrought with doubt. To be honest, I don’t know how people live with such uncertainty, or thrive for that matter. I can only hope it’s kind of like riding a bike, a skill built with time and patience and maturity and, most important of all, incessant falling (because god knows i know how to do that). ***Penny-farthing bicycles are named so because the two tires resemble British coins (a penny and a farthing), with a larger wheel leading a much smaller one.